It is an open source object-oriented web application framework implemented in PHP 5 with a powerful collection of components to speed up the application process. It provides to users a support of the Model View Controller in combination with Front Controller Solution. It is used for building highly secure and modern web applications in PHP. It offers high-performance MVC design patterns, database abstraction and utilizes most of the features of PHP. The component structure of Zend framework is designed with very few dependency on other components. We deliver fast efficient and quality tested work. We ensure cost-effective, robust and efficient solutions, and maintain confidentiality all through the project. 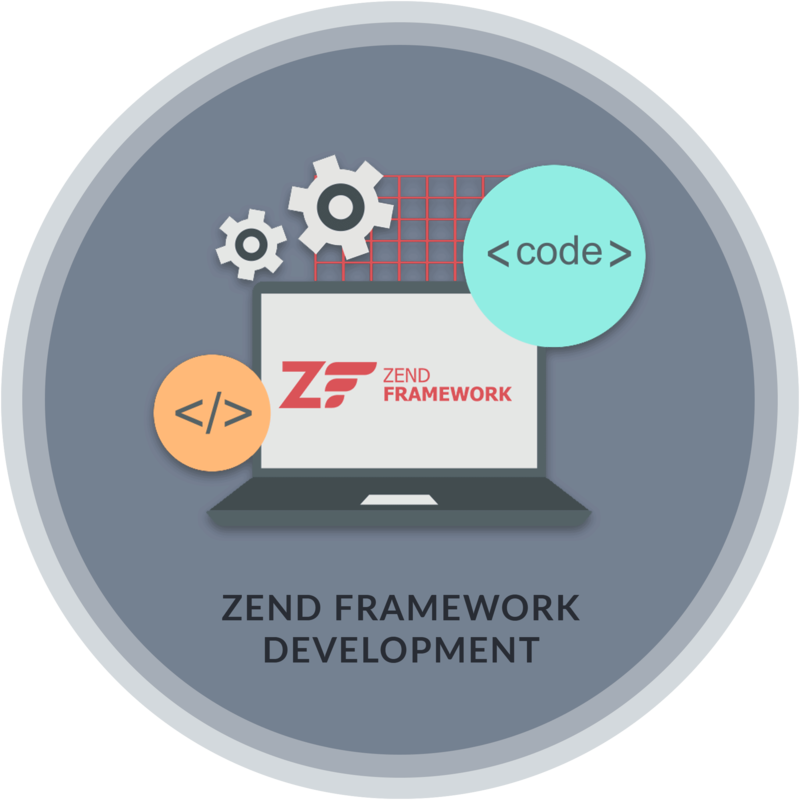 Zend Framework has many inbuilt features which helps in fast application development and saves development time. Outstanding web application can be built with flexibility and reliability. Fast development, coding and execution of the project.